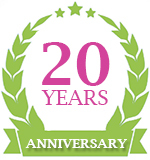 Meeting your care needs for over twenty-two years. ANA Nursing was established in 1994, with our first office opening in Edgware, followed by three more branches in Islington, Willesden and Sutton, we’ve been providing quality care for over two decades. Twenty-two years later and we still continue to be one of Londons’ most trustworthy and reliable care providers, providing a number of quality care services throughout Greater London. All members of our staff are professional, friendly and fully trained in order to meet your care requirements. We match our staff with service users based on who will be able to fulfil and meet your specific needs. Our home care services will provide you with the freedom, independence, assistance or companionship that you require throughout your day to day life. At ANA Nursing, we’re defining care with you, offering a number of care services which are available in your home to meet your unique care needs; which can be a combination of elderly, young adults, learning impaired, physically disabled, palliative, Parkinsons’ disease, dementia and respite, live in and personal care support. All our care plans are tailor made to meet your care requirements; whether you’re a young adult who needs respite support an hour a week or suffer from dementia and need a live-in nurse. We tailor-make our service to meet your individual needs, to ensure you receive the finest service.